Spring is the time of plans and projects but for anglers putting the “projects” on hold in the months ahead should take priority as those tend to get in the way of fishing time on the water. 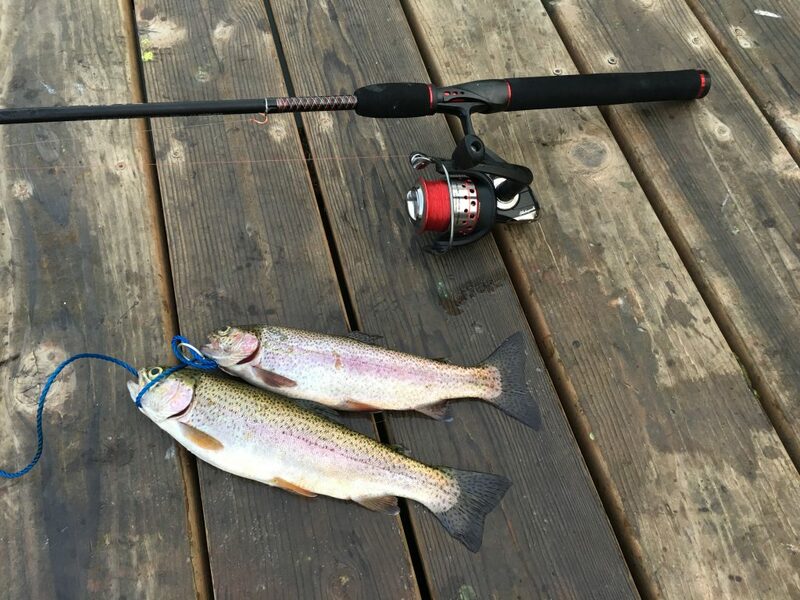 Trout fishing is coming back into the mix as hundreds of statewide lakes are open year-round, and many will be stocked by the Washington Department of Fish and Wildlife (WDFW) now through late spring. “We’ve got a lot of year-round lakes we’ll be planting to boost early trout fishing opportunities,” said Justin Spinelli, a WDFW Puget Sound regional biologist. 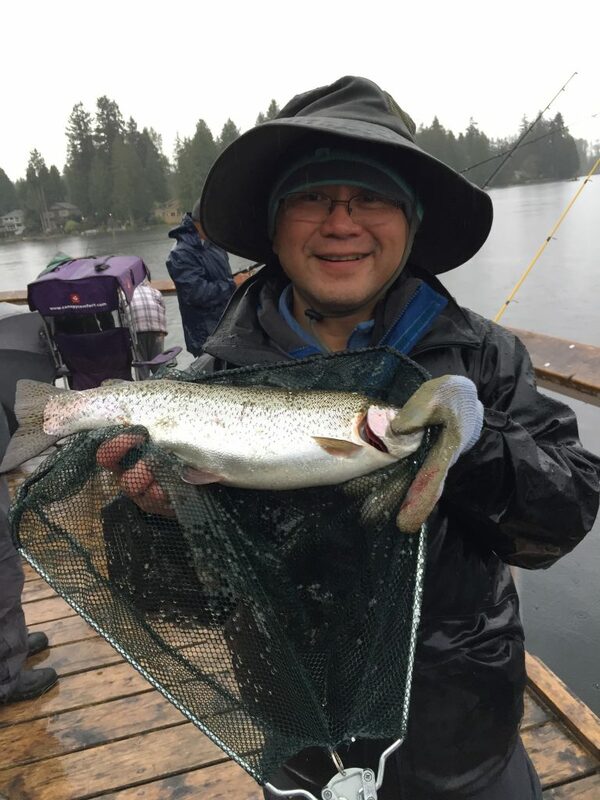 The unusually warm weather this week should be a bonus on top of year-round lakes planted this past week that include Black (573.7 acres) in Thurston County with 7,545 trout; Green (250 acres) in King County with 7,545; and Island (41.2 acres) in Kitsap County with 2,038. In King County try Alice (3,600 trout will be planted in March and April), Beaver (7,000 in April), Bitter (1,500 in May); Boren (1,200 in May), Deep (4,000 in May), Desire (8,000 in April), Dolloff (2,000 in May), Echo (1,200 in May), Fenwick (1,200 in May), Fish (1,500 in May), Fivemile (3,200 in May), Green (13,500 from March to May), Haller (1,300 in May), Holm (1,700 in May), Killarney (2,200 in May), Meridian (16,700 in March), Morton (5,500 in April), Rattlesnake (3,500 in March), Shadow (4,500 in May), Spring (7,000 in April), Star (2,800 in May), Trout (1,800 in May) and Twelve (4,500 in April). In San Juan County look at Egg (600 in March) and Hummel (1,000 in March). In Skagit County target them at Clear (6,000 in April), Grandy (5,600 from March to May) and Volger (1,000 in April). In Snohomish County try Ballinger (9,000 in April), Blackmans (1,500 cutthroat in April and 7,000 rainbow in April and May), Cassidy (3,500 in March), Chain (1,000 in May), Flowing (6,800 in April and May), Gissburg Pond North (1,000 in March and April), Gissburg Pond South (3,000 in March and April), Ketchum (2,000 in March), Loma (1,700 in April), Lost (1,500 in March), Martha Warm Beach (5,000 from March to May), Panther (1,500 in March), Roesiger (3,000 in April), Shoecraft (6,500 in March) and Silver (8,000 in April) and Tye (3,500 in April and May). In Island County head to Cranberry (11,000 in April); and Lone (3,000 in March). In Whatcom County make a move to Squalicum (1,500 in May) and Terrell (2,000 in March). In Mason County try Spencer (12,644 in April and May) and Island (4,400 in April). In Pierce County make your way to American (21,250 from March to May), Bonney (1,020 in March), Bradley (5,000 from March to May), Florence (4,000 in April), Kapowsin (31,500 in March), Louise (1,500 from March to June), Ohop (500 in April), Spanaway (18,000 in March), Steilacoom (8,000 in March), Tanwax (5,500 in April and May), Wapato (4,000 in April and May) Whitman (2,000 in March). In Thurston County soak a bait at St. Clair (24,000 in April and May) and Black (39,350 in March and April). For more specific trout planting dates in each year-round lake, go to https://wdfw.wa.gov/fishing/plants/weekly/. The traditional statewide lowland lakes trout opener is April 27-28 with more than 16.3-million trout and kokanee being planted into 553 bodies of water. 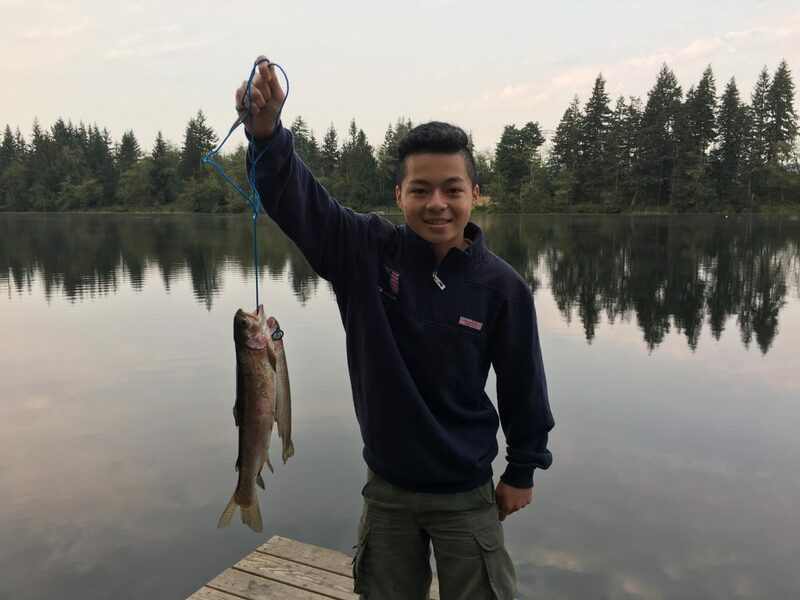 There are also many kids fishing events held throughout the year that are hosted by WDFW – http://wdfw.wa.gov/fishing/kids/events.html – and other fishing groups and clubs such as the C.A.S.T. for Kids Foundation – www.castforkids.org. There are a boat-load of fishing choices east of the Cascades on frozen over lakes and ponds, and larger-sized lakes and reservoirs for trout, perch and kokanee. The Spokane Arm has been decent for walleye, which hosts the largest spawning population in the state. In the Columbia River head to The Dalles Pool; Wallula Pool above McNary Dam; John Day Pool also known as Lake Umatilla; and below Rocky Reach Dam. Other walleye fishing holes can be found in Crab Creek, Lake Billy Clapp, Potholes Reservoir, Long Lake, Moses Lake, Soda Lake and Scooteney Reservoir. The Columbia Basin lakes opener earlier this month was a bust due to many of them being frozen solid with ice. Burke Lake Trout Fishing Derby is postponed until March 23 since there is still ice covering the lake although it is already open for fishing. Ice fishing options are Moses Lake for perch; Fish Lake near Lake Wenatchee for perch and trout; Patterson Lake, near Winthrop for good perch, trout and kokanee; Bonaparte Lake, northeast of Tonasket for brook trout, kokanee and tiger trout; and Curlew Lake north of Republic for perch. As with any ice fishery always use come caution and check ice thickness before even thinking about setting foot on a frozen lake. While ice safety can never be assured, no one should venture onto the ice unless it is at least 4 inches thick, clear and solid and don’t fish alone and let others know your fishing plans. The winter coastal razor clam digs have been excellent when the weather and surf allows and prospects this spring should be just as fruitful. Digging was very good with many 15-clam limits reported this past weekend at Twin Harbors, Copalis and Mocrocks, which coincided with the Ocean Shores Razor Clam and Seafood Festival. 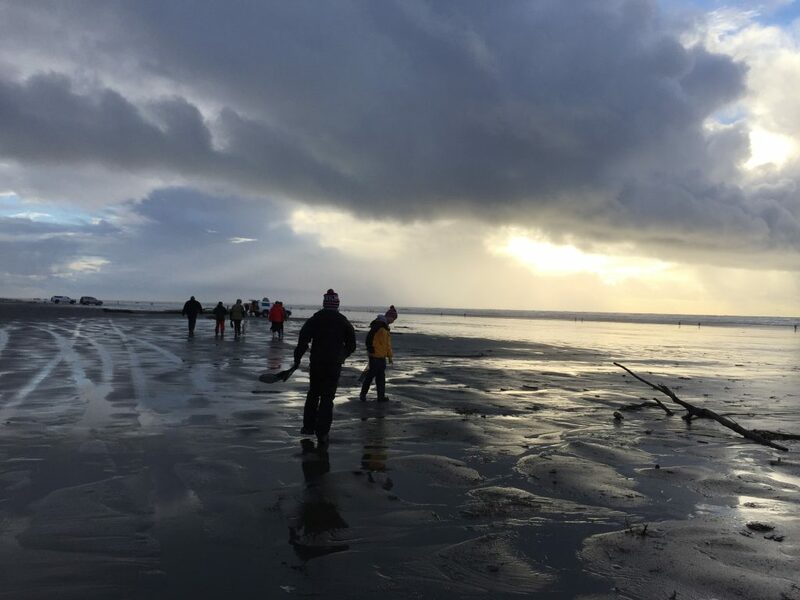 Other razor clam digs are planned during an evening low tide on March 21 at Mocrocks. Then it switches to morning low tides on March 22 and 24 at Twin Harbors, Mocrocks and Kalaloch; and March 23 at Twin Harbors, Copalis and Kalaloch. Other tentative morning low tide digs are scheduled for April 6 at Twin Harbors and Copalis; April 7 and 22 at Twin Harbors and Mocrocks; April 8 at Mocrocks; April 20 at Long Beach, Twin Harbors and Copalis; and April 21 at Long Beach, Twin Harbors and Mocrocks. Final approval on all dates will be made by WDFW about one week prior to each dig series. Copyright © 2017 The Outdoor Line. All Rights Reserved.